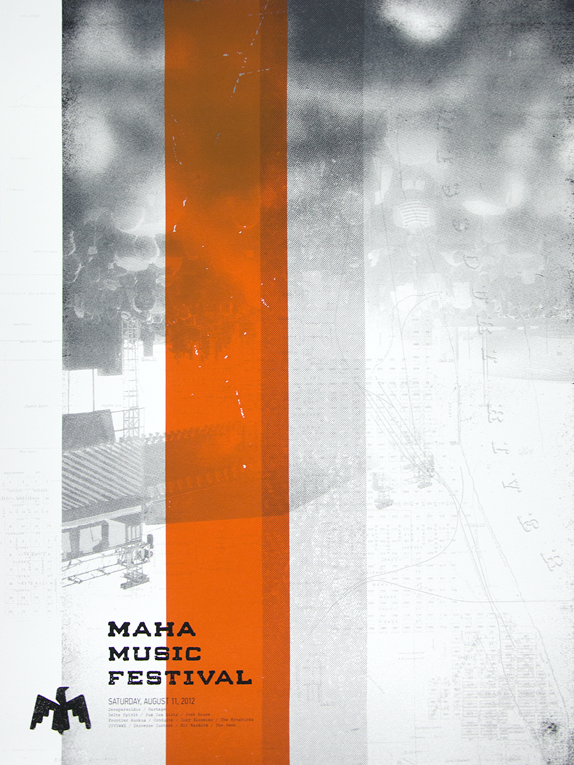 First staged in 2009, the Maha Music Festival is a volunteer-run event in Omaha, Nebraska, featuring local, regional, and national indie and alternative rock artists that last attracted over 4,000 attendees — 2013 will be headlined by The Flaming Lips. 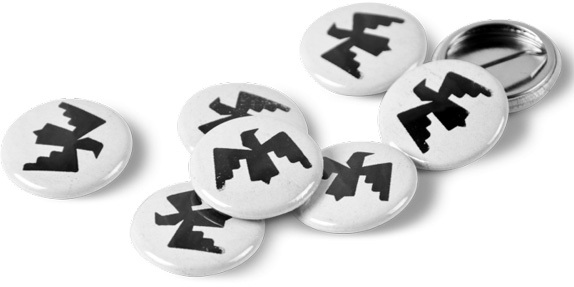 Starting in 2012 the festival adopted a new identity by local firm Oxide Design. I realize this breaks my own criteria of the timeliness of work to be posted on Brand New and for all Omahans who consider this old news we deeply apologize (not too deeply) but, for some reason, today I struggled to find something interesting to post and this project had been piled on with other news since February and, well, it’s interesting. [We] looked to evoke the lore of the Maha while simultaneously capturing the festival’s key elements: pride, place, and independence. We found the perfect solution in the great chief of the Maha, Chief Blackbird. The Maha were the most powerful Native American tribe of the Great Plains — a people whose name inspired our city’s, and then the festival’s. Oxide developed a modern symbol for the Chief that hints at the visual style of the Plains Indians, but is still pure rock n’ roll. As we expanded on the identity, we wanted to capture the feel of the festival by implementing the bold, gritty visual style that so perfectly represents rock music. Black and white grainy photography, vintage Omaha maps, and rough textures create the building blocks for all collateral pieces. The previous logo was already quite good, if a little Hawaiian in flavor — whatever that means — with what appears to be a sun setting behind the sea. The MAHA lettering was nice and the texture gave it that indie feel. Too bad about that Helvetica plopped in at the bottom. But that old logo could have been for any number of music festivals. The new identity, well, it brings it home. In both concept and execution. 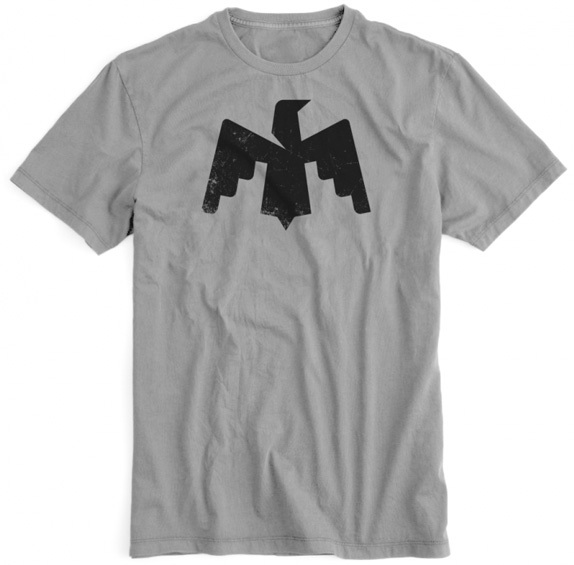 The blackbird icon is bold and graphic and, more importantly in this case, it looks great on a t-shirt. 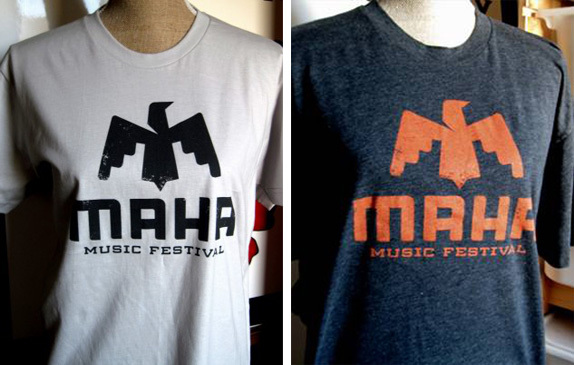 The “MAHA” custom lettering is a great complement to the icon and even the “Music Festival” at the bottom is well considered and a good complementary typeface for the rest of the materials. Fun project for a fun client. 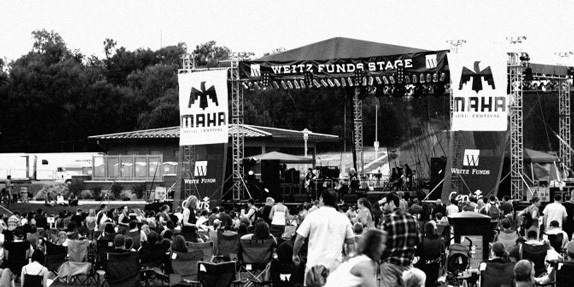 First staged in 2009, the Maha Music Festival is a volunteer-run event in Omaha, Nebraska, featuring local, regional, and national indie and alternative rock artists that last attracted over 4,000 attendees — 2013 will be headlined by The Flaming Lips. Starting in 2012 the festival adopted a new identity by local firm Oxide Design. I realize this breaks my own criteria of the timeliness of work to be posted on Brand New and for all Omahans who consider this old news we deeply apologize (not too deeply) but, for some reason, today I struggled to find something interesting to post and this project had been piled on with other news since February and, well, it's interesting.